WWE Backlash took place from the Allstate Arena in Illinois on May 21st 2017. Below are two tables. 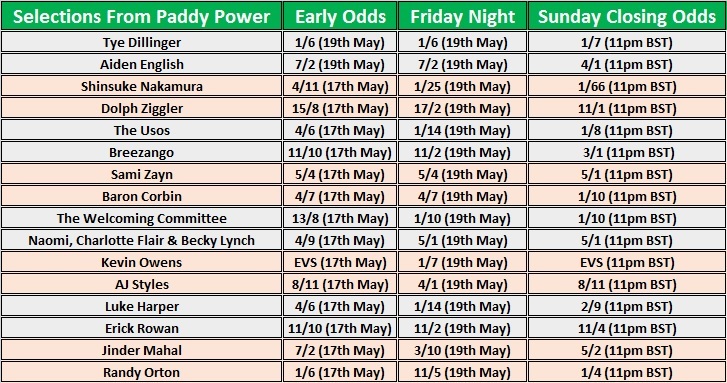 The first shows the odds at three key times from The Paddy Power Sportsbook. The second table shows the early and closing betting odds that were available from The 5Dimes Sportsbook.